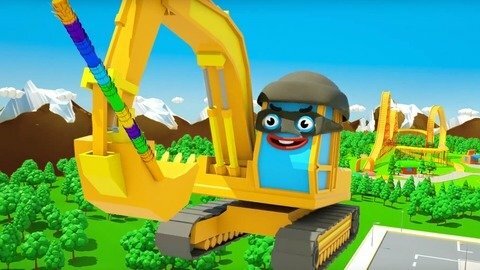 Free 3D Car Cartoon About Excavator Which Tries To Catch A Giant Balloon With Candies is waiting for you! Our main hero puts on a mask to become invisible! He tries to catch and steal tasty surprise. But the giant balloon is not easy to take, because Excavator meets different obstacles on his way to the aim! Watch car cartoon for kids to know the end of the story!